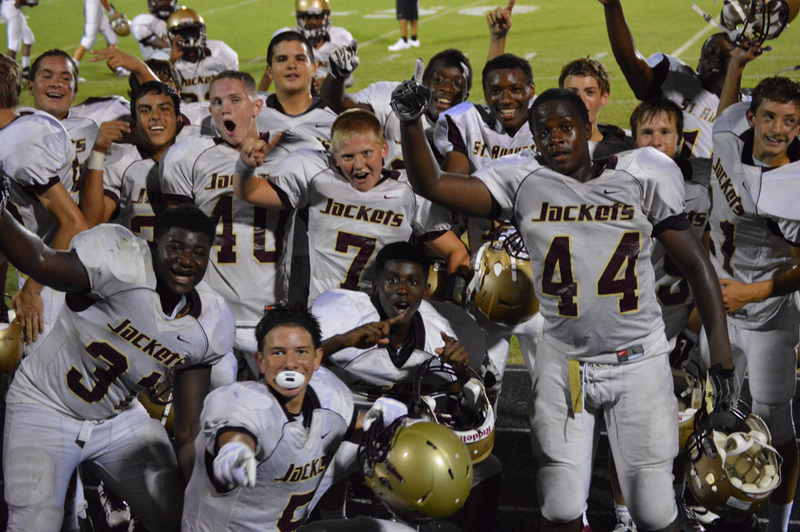 The Fall football season kicked off in NE Florida on Monday July 31st, and like all teams, the St. Augustine High School Yellow Jackets football team took the field in anticipation to earn a 15th District Championship in the last 16 years. Leading the Jackets offense this year will be senior quarterback, and third year varsity player Austin Reed #14. 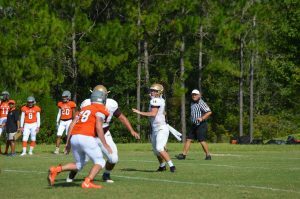 While regular season game play doesn’t begin until August 25th, the St. Augustine HS Jackets took the field on Saturday (8/12), scrimmaging Orange Park HS (Class 7A) in the annual North Florida Officials Association training at Oakleaf High School. The format consisted of 45 minutes of game play, including kick-offs and extra points. During the scrimmage, the starting offense for the Jackets scored on their first 4 drives, as the defense stepped up and kept the Raiders from scoring. 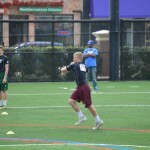 Quarterback Austin Reed connected for three touchdown passes on the first three drives (1 – Lonell Harris (#1), 2 – Karim Brown (#8)) and threw for over 160 yards in the game. Running back Fre’quan Sparrow (#21) added the final score on a 12 yard run to close out the scoring and give the Jackets a 28-0 win. Next up for the Jackets is Clay High School in the annual Kickoff Classic preseason game at home on Friday, August 25th. 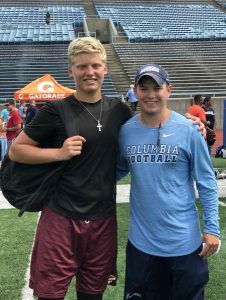 St. Augustine High School quarterback Austin Reed visits Columbia University football camp. 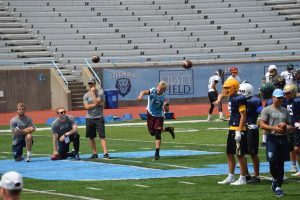 On Saturday, July 8th, St. Augustine High School senior quarterback Austin Reed (#14) attended the Columbia University Football Camp held in New York City at Robert K. Kraft Field at Lawrence A. Wien Stadium. 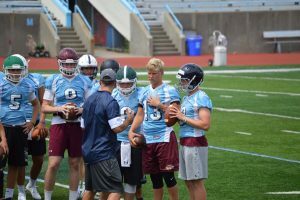 The one day camp gave Austin the opportunity to meet and work with the Lions coaching staff and learn more about their Division I (FCS) football program that competes in the Ivy League. Austin has received an offer to play football at Columbia University beginning in the 2018 season. 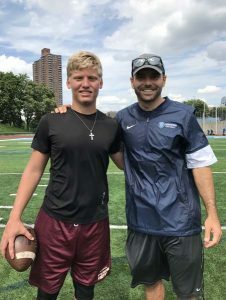 July 31, 2017 | Categories: Sports Updates | Comments Off on St. Augustine High School quarterback Austin Reed visits Columbia University football camp. Today is August 1st, the beginning of the 2016 Fall football season for programs all across the State of Florida. It is also the first official day of practice for the St. Augustine High School Yellow Jackets football team under new head coach Brian Braddock. Coach Braddock replaces former long term Head Coach Joey Wiles, who was with the program for 20 years. The Jackets kick-off their 2016 season with a pre-season game on August 19th at home versus Daytona Beach Seabreeze High School. The regular season starts the following week on the road at Baker County HS. 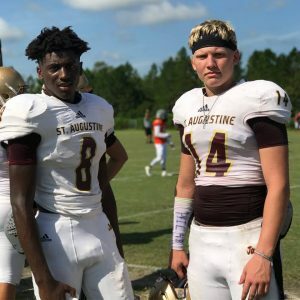 The Summer was very productive for the St. Augustine Yellow Jackets football team who participated in 4 summer 7v7 scrimmages against Oak Leaf, Atlantic Coast, Clay, and Flagler Palm Coast High School’s, as well as the FHS7v7A Northeast Florida qualifying tournament at Matanzas High School (Palm Coast). 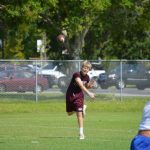 St. Augustine High School Quarterback Austin Reed participated in each of the 7v7 tournaments and successfully finished Summer play without throwing one interception. Good luck to the entire St. Augustine High School Yellow Jackets Football Team on the 2016 season. 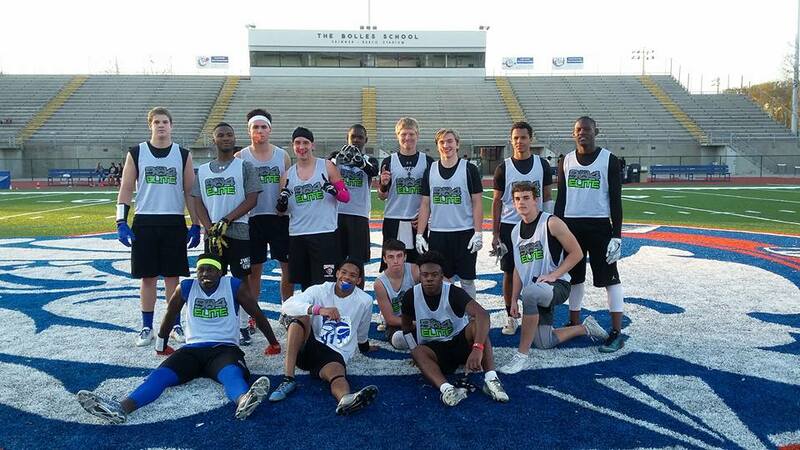 June is the month when many rising junior and senior high school football players take to the road to attend one or many of the available regional college football camps held to evaluate and take notice of the players physical abilities and on-field talents. 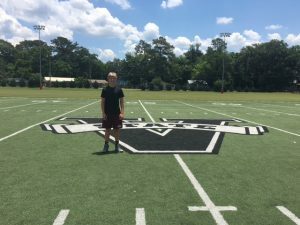 During the month of June, St. Augustine High School Quarterback Austin Reed (2018) attended several camps throughout the Southeast including an unofficial visit to the Valdosta State University football program where he had a chance to spend some time with new head football coach Kerwin Bell. 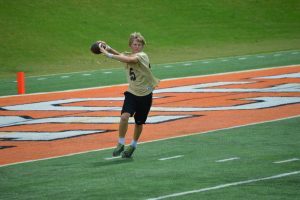 The visit occurred on Friday, June 3rd as a stop-over while as Austin was traveling to the Mercer University football camp in Macon, GA the next day. The following week, Austin attended the University of Central Florida camp in Orlando on Friday, June 10th, and then traveled the next day to Birmingham Alabama with 4 players from the SAHS Jackets football team along with Jackets head football coach Brian Braddock to attend the Samford University mega camp. 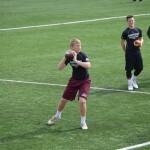 The following galleries are images from the camps attended thus far for Austin. 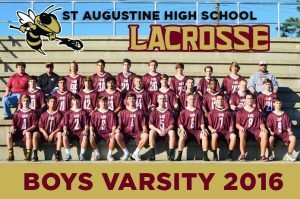 Recap: Austin Reed and his St. Augustine High School varsity lacrosse teammates finish the 2016 season. 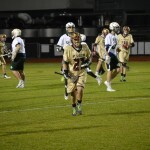 On Thursday, April 8th, the St. Augustine High School Yellow Jackets varsity lacrosse team finished up their 2016 season in a playoff loss in the FHSAA District 7 finals against the Matanzas High School Pirates. The playoff loss ended the Jackets season at 9 wins/6 losses on the year for the young team that had only 4 seniors on the roster. Sophomore Austin Reed, #14, started as a defender for the SAHS Yellow Jackets having success throughout the season and earning him to be recognized several times in the local newspaper for his on the field play. Below are a few of the photo’s of Austin captured throughout the season and the 2016 team photograph. 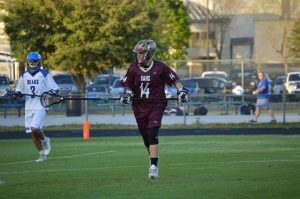 May 10, 2016 | Categories: Sports Updates | Tags: SAHS LAX, St. Augustine High School Jackets Lacrosse, St. Augustine High School lacrosse | Comments Off on Recap: Austin Reed and his St. Augustine High School varsity lacrosse teammates finish the 2016 season. 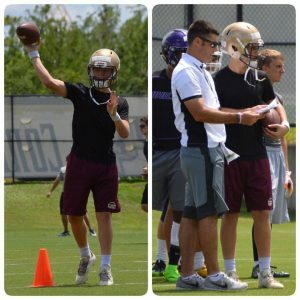 Last month, St. Augustine High School Varsity Quarterback Austin Reed and his football teammates from St. Augustine HS, Bolles HS, Mandarin HS, Atlantic Coast HS, University Christian HS, Raines HS, and Creekside HS won the 2016 904Elite 7 v 7 Jacksonville Varsity Football Championship at Bolles High School. The league took place over 4 weeks consisting of 6 games for each team, ending in a Championship playoff on February 28th. Playing as team Bolles, Austin and his teammates had to defeat teams from Bishop Kenny HS, Atlantic Coast HS, Sandalwood HS, and Fletcher HS to win the Championship. 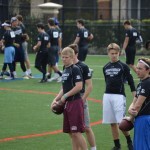 This past weekend St. Augustine High School varsity quarterback Austin Reed attended the 2016 Tampa Bay Area Quarterback Challenge held at the University of Tampa by the DeBartolo Sports University and the Kaleo QB Academy. 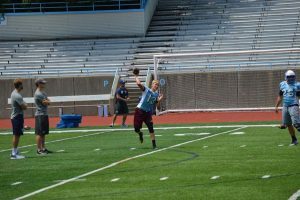 The Challenge included quarterbacks competing in their own grade for 8th – 11th graders in a series of technical tests that included drills measuring accuracy, long ball, escape throws, fade throws and a figure 8 footwork drill. 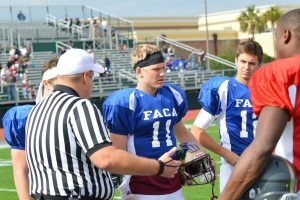 The quarterbacks had a great time measuring their skills, meeting their peers from schools all over Florida, and learning from a very talented group of coaches. 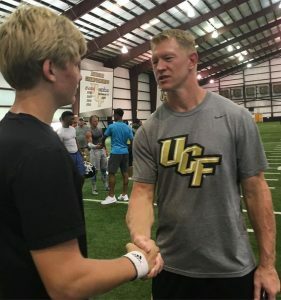 This past week St. Augustine High School Jackets Varsity Quarterback Austin Reed traveled to Jervey Gantt Park in Ocala to work out with quarterback instructor and High School football coach John Brantley III. John Brantley III is a former University of Florida quarterback and the father of former Gators quarterback John Brantley IV. 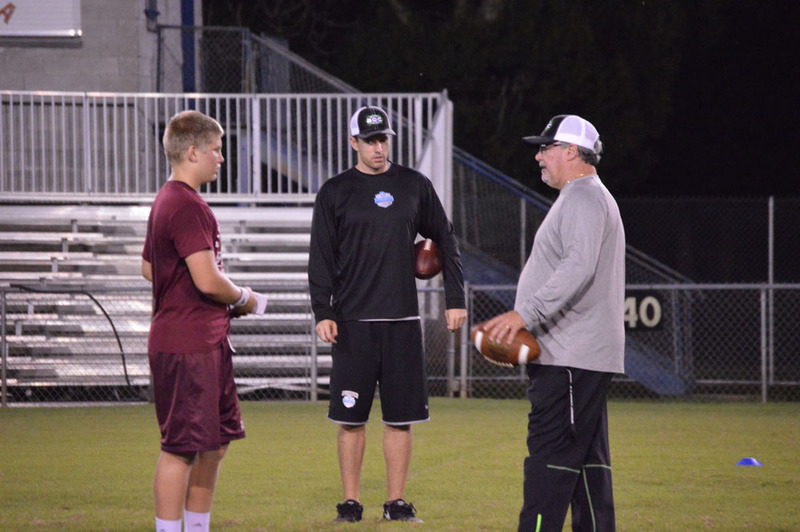 Coach Brantley is the only person in the State of Florida who has won state championships as a player, Assistant Coach, and Head Coach, and is a former Manning Passing Academy coach and Under Armor advisor. Coach Brantley has recently accepted the Head Coach position for Belview High School (Ocala – Class 5A) after spending several years as the Head Coach for Trinity Catholic (Ocala), where he won two state championships and appeared in 2 other state championship finals. In addition to Coach Brantley, former Purdue Quarterback Rob Henry provided valuable coaching at the passing camp. The camp was made up of high school varsity quarterbacks and receivers from the surrounding Ocala area. Austin participated in a number of game-play development drills and received excellent instructions in passing technique and body mechanics. 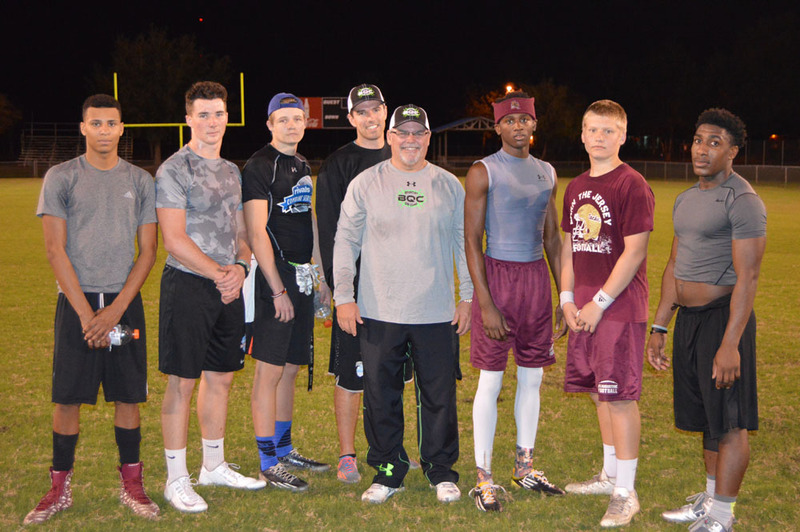 Coach John Brantley III with players from the weekday QB camp. The start of the new school year ushers in the beginning of the Fall football season for the St. Augustine Yellow Jackets football teams. This year the Yellow Jackets will be participating in a new Class and District in the Florida High School Athletic Association (FHSAA) in NE Florida – 6A District 4. 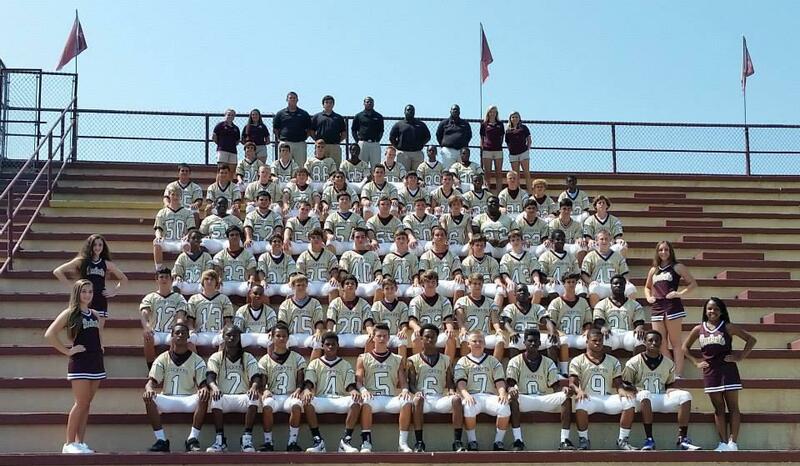 The St. Augustine Yellow Jackets varsity football team are the 11X defending District Champions going into the 2015 season. 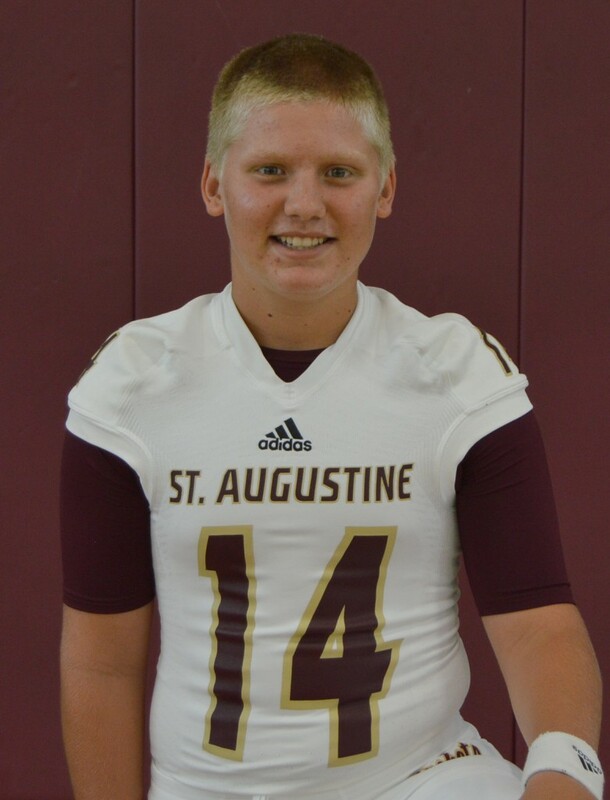 St. Augustine High School Yellow Jackets quarterback Austin Reed, has been moved up to the Varsity football team after a very successful undefeated season on the junior varsity football team last year. As a sophomore, Austin has earned the #2 back-up roll behind Junior quarterback Cole Northrup (#11), who will be starting his 3rd straight season as the Jackets QB. This year there is a change to Austin’s jersey number from the #7 he has worn for the past 5 years. 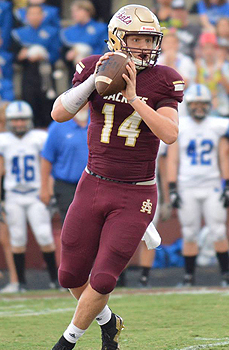 Quarterback Austin Reed will now be wearing the #14 jersey for the Yellow Jackets. The first game of the season for the Yellow Jackets will be held on Friday, August 21st. The annual pre-season Kick Off Classic game will be played against Daytona Beach Sea Breese High School in Daytona. Good luck to the Yellow Jackets on a successful 2015 season. St. Augustine High School Yellow Jackets quarterback Austin Reed, #14. The St. Augustine Yellow Jackets Varsity Football Team wrapped up their annual 7 on 7 Summer play today in a game against the Clay High School Blue Devils at the Solomon Calhoun Center sports fields. This was the fifth game of the Summer, as previous opponents included Oak Leaf HS, Mandarin HS, Bishop Kenny HS and Atlantic Coast HS. The Yellow Jackets will finish their summer workouts on Tuesday, and be ready to start with the Fall football season practices starting on Monday, August 3rd. 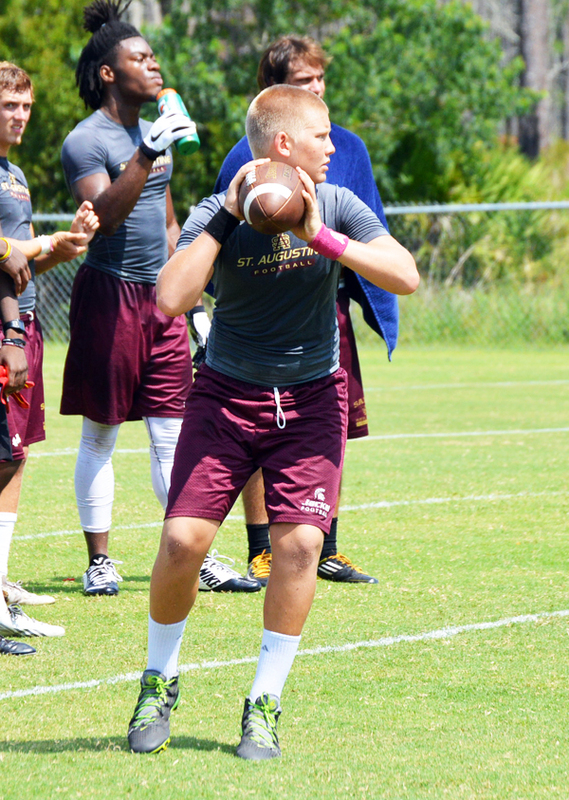 St. Augustine High School quarterback Austin Reed had very productive Summer workouts and 7 on 7 games. Austin finished todays game against Clay HS throwing for two touchdowns. In addition to training with the Jackets football team this Summer, Austin has spent about 6 days per week working out with individual quarterback training, working with a speed and agility trainer, and many other days spent in the gym weight lifting. Good luck to Austin and all of his Yellow Jackets Varsity Football teammates on a successful 2015 season. 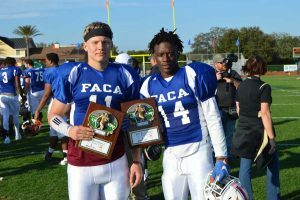 Now that the Summer is here, there is one constant with high school football players in Florida, high school football work-outs are in full swing and players are attending skills camps at their favorite universities. Austin Reed is doing both this year as a rising sophomore playing quarterback on the St. Augustine High School Yellow Jackets varsity football team. Work-outs are already two weeks underway as full practice begins on August 1st in the Jackets quest for a 12th straight District Championship and playoff run. 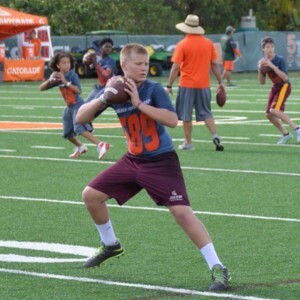 Austin also recently attended the University of Miami – Al Golden Football Camp during the weekend of June 2oth and 21st. The camp was held at the practice facilities at the University of Miami in Coral Gables, FL. 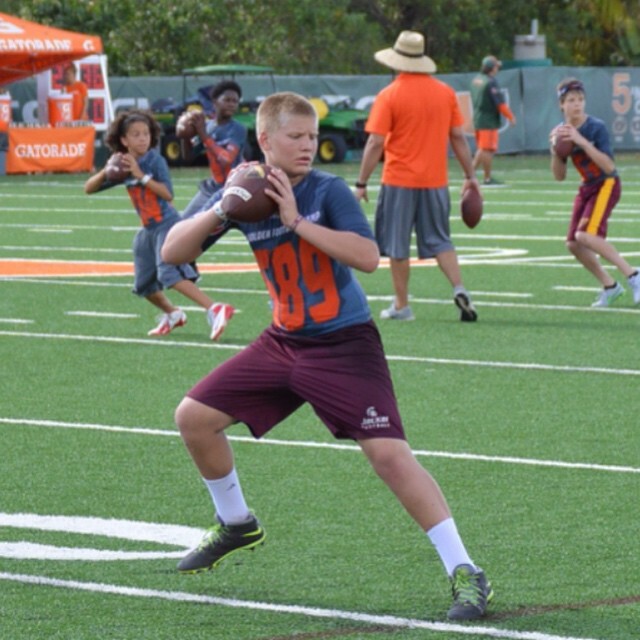 Austin enjoyed the experience with his QB peers, and received great verbal recognition from the Miami coaching staff he worked with and other visiting coaches from other programs around the country. 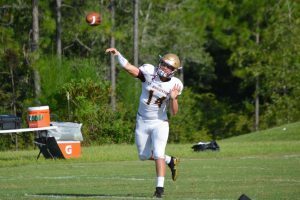 The Spring high school football season in Northeast Florida is in full swing now as The St. Augustine High School Yellow Jackets started their 2015 championship quest yesterday afternoon (4/27). This opportunity to evaluate junior varsity and varsity players for the Fall season will finish up with the annual Spring game against the Bishop Kenny Crusaders at home in Brumley Stadium on Wednesday, May 20th, starting at 7:00 p.m.
You can follow all of the St. Augustine High School Spring and Fall football activities on their official website at www.staugustinehighschoolfootball.com. 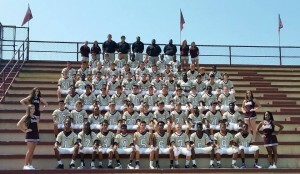 We wish the best of luck to Quarterback Austin Reed and all of his SAHS Jackets teammates. 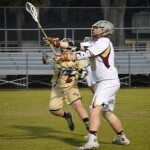 The 2015 St. Augustine High School Lacrosse season starts off hot! 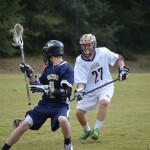 Austin and his St. Augustine High School Yellow Jackets varsity lacrosse teammates have enjoyed the start of the 2015 season as the Jackets have started 3-0 in wins against Episcopal School of Jacksonville (13-10 win), Paxon School for Advanced Studies (13-0 win), and district rival Flagler Palm Coast High School (11-4 win). With a lot of tough competition coming up, the Jackets hope the gained experience and improving play from the young team will continue to improve game to game. Austin Reed, #27 in Lacrosse, is playing the long stick defensive position for the Jackets. Seeing time on the field in his first three game, Austin is excited to be part of this Jackets team as a freshman. Stay tuned for many more reports on the success of the Jackets during this 2015 season and click here to see a copy of the season schedule. 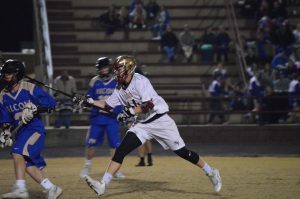 February 23, 2015 | Categories: Sports Updates | Comments Off on The 2015 St. Augustine High School Lacrosse season starts off hot! We finally got together many of the passing highlights from all of the video taken during the St. Augustine High School Yellow Jackets Junior Varsity football season for 2014 and compiled them into one great highlight video. 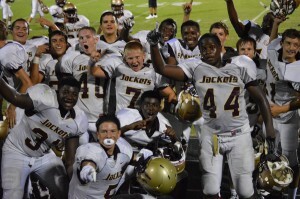 Led by freshman quarterback Austin Reed – #7 on offense, the Jackets JV acheived an undefeated season in 2014 going 8-0 against a very tough Northeast Florida high school football schedule. So sit back, enlarge the video, and turn up the sound to enjoy songs from DJ Snake & Lil Jon – Turn Down for What, Wiz Khalifa – We Dem Boyz, and Fort Minor – Remember the Name. 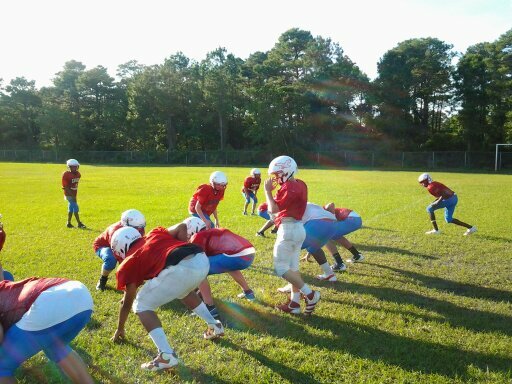 Austin gets moved up from the St. Augustine High School Junior Varsity to practice with the Varsity team. On Monday, October 27th, St. Augustine High School Yellow Jackets Junior Varsity freshman quarterback Austin Reed, #7, was invited to move up to practice with the Jackets Varsity Football Team as they finish out the regular season and prepare for the post-season as Class 6A – District 4 Champions. The opportunity gives Austin the chance to learn the Varsity practice system and work with an incredibly talented group of coaches and top level Varsity players. November 4, 2014 | Categories: Sports Updates | Comments Off on Austin gets moved up from the St. Augustine High School Junior Varsity to practice with the Varsity team. 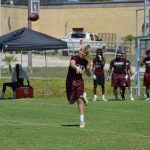 On Monday, August 4th, High School football in the State of Florida started with teams beginning regular practice schedules to prepare for the Fall 2014 football season. 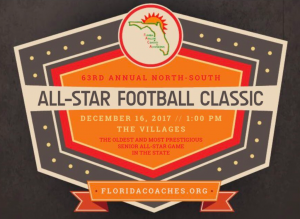 This includes the St. Augustine High School Yellow Jackets Varsity and Junior Varsity football teams, where over 130 kids will be participating between the two programs this year. 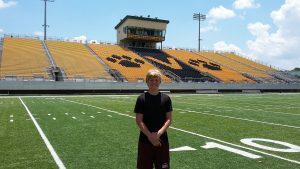 Austin Reed took the first step in his High School career by entering the Junior Varsity program as a quarterback and working hard to learn the new offensive system. In addition to last week being the first week of practice, Thursday was the annual Picture Day for the Yellow Jackets, where both the Junior Varsity and Varsity players sported their uniforms for the first time of the season. Please see the featured pictures below of the Junior Varsity team and Austin Reed in his uniform. Also, stay tuned for more pre-season updates on the Jackets Junior Varsity team and please support and follow the Yellow Jackets at their website designed and supported by Avid Design Group at: www.staugustinehighschoolfootball.com. 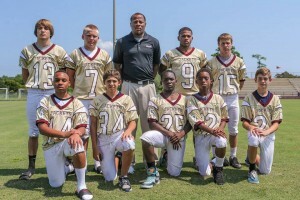 2014 St. Augustine Yellow Jackets JV Offensive Backs with Coach Cooper. Austin Reed featured in #7 jersey. 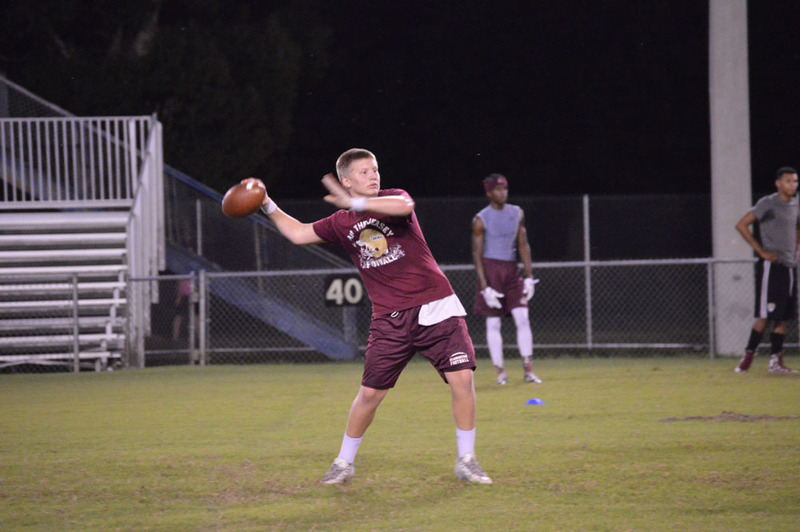 During the first couple of months of 2014, Quarterback Austin Reed has been playing in the St. Johns County Police Athletic League flag football league for his second year with a team called the Cougars. With Austin at quarterback, the Cougars went 7 – 0 during the regular season to win the first place seed in the playoff bracket. During the three games in the playoffs to become champions, the Cougars swept all three games by an easy margin of victory (126 – 28) to win the 2014 Senior Boys Championship and finish the season 10 – 0. Each of the ten teams participating in the senior division were made up of mostly 8th graders. The video that is featured is just one play from the Championship game against the Trojans. 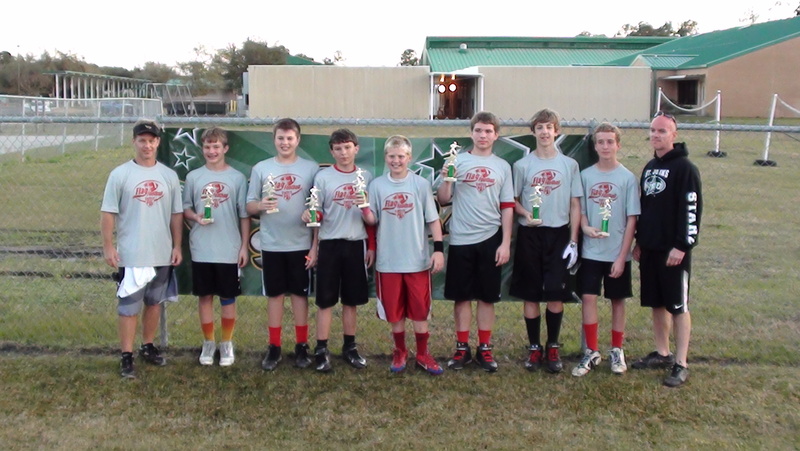 I am also including the following picture featuring the Cougars team holding their Championship trophies. Austin Reed is working out hard during the off season in football with talent from Northeast Florida. 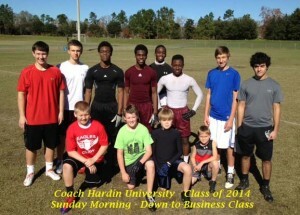 Austin Reed continues to work hard during the off season by taking part in training with his quarterbacks coach Steve Harden and several area players from Northeast Florida. 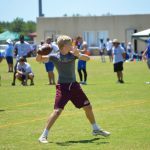 In addition to his quarterback training, Austin is currently playing Baseball for Sebastian Middle School, Lacrosse for the Ancient City Thunder U15 travel team, playing flag football for the Police Athletic League and training weekly at Salomon Services (personal trainer) in St. Augustine. 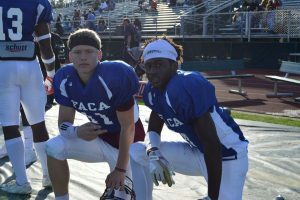 January 29, 2014 | Categories: News, Sports Updates | Comments Off on Austin Reed is working out hard during the off season in football with talent from Northeast Florida. We put together a short video compilation of Austin Reed’s (#7) 2013 Sebastian Middle School Eagles passing highlights and accomplishments. 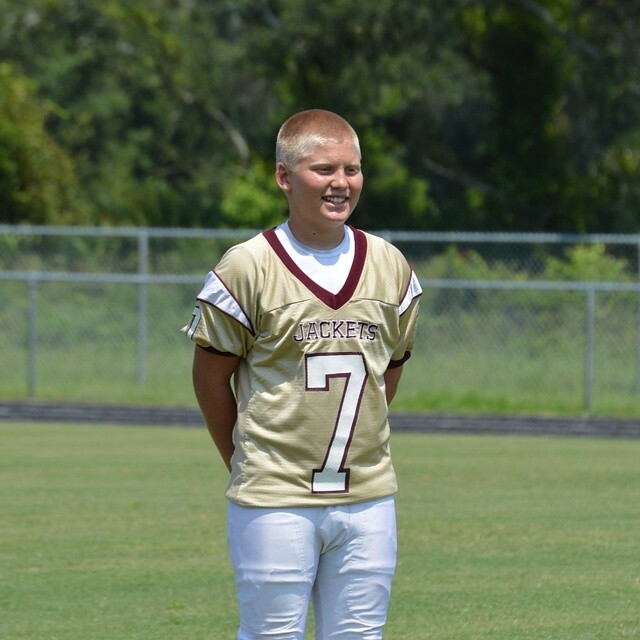 As an 8th grader playing in the St. Johns Middle School Athletic Association (SJMSAA), Austin will be moving on to St. Augustine High School next year playing for the Yellow Jackets. 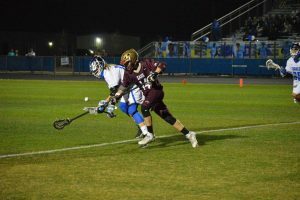 The next season on Austin’s schedule of sports is tournament lacrosse as Austin prepares to play for the St. Augustine Thunder travel lacrosse team. The fall season for the Sebastian Middle School Eagles football team begins on Thursday, August 1st, with all the other teams from the St. Johns County Middle School Athletic Association. With the start of the season just days away, it’s time to put behind us all the off season training activity that Austin Reed put in for strength, skills and conditioning to enhance his game on offense and defense. There were hours each week put in to strength training at the gym, weekly quarterback skills training with Coach Steve Harden from St. Augustine High School, and other speed, agility and conditioning training sessions each week of the Summer. 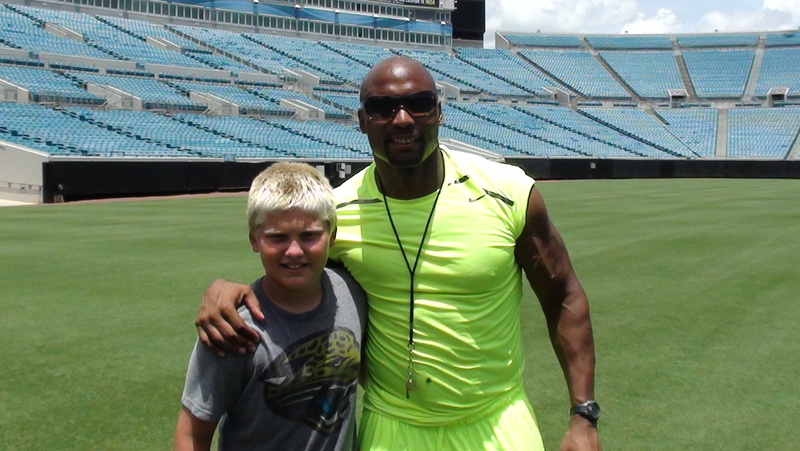 Below are two videos featuring Austin’s quarterback training with Coach Harden at Plantation Park in Fruit Cove, as well as a video from the Donovin Darius NFL Youth Combine held at Everbank Field in Jacksonville, FL. 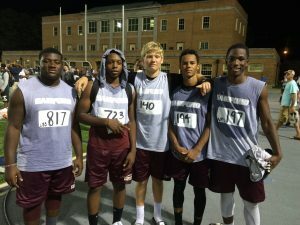 The Spring Jamboree is long in the past as Austin has been preparing strongly during the off, Summer season. Since we never gave a recap on the St. Johns Middle School Athletic Association Spring Game for the Sebastian Middle School Eagles football team, we would like to play a little catch up and feature a few plays in Sebastian’s close loss to the Pacetti Bay Middle School Wildcats football team. Sebastian Middle School loss a close Spring game on Saturday, May 18th, by a score of 22 – 18. Failure to convert on extra points and the inability to stop the Wildcats from reaching the end zone with less than one minute to play hurt Sebastian’s chances for the win. 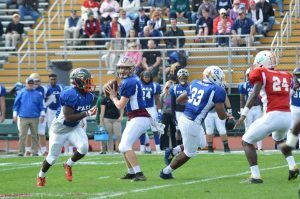 Down by 4 points with less than 50 seconds to go, Austin Reed, Quarterback, drove the team, on three consecutive pass completions, down the field from their own 20 yard line to reach the Wildcats 15 yard line. With one play left, the Eagles were unable to get off a final pass for a chance to win the game. Featured below are a few of the notable plays for Austin Reed. We have included two offensive plays where Austin completed two very well thrown balls during the game, as well as two defensive plays with Austin playing middle linebacker. On one hit, Austin makes a ball jarring hit on a tight end releasing off the line attempting to catch a well thrown ball. It’s that time of year again when the many weeks of Spring football practice finalize into one Spring football jamboree. 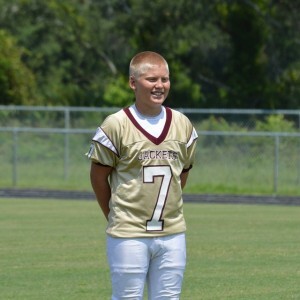 For Austin Reed (#7) and the Sebastian Middle School Eagles, that game is being held today against the Pacetti Bay Wildcats at the Nease High School football stadium in St. Augustine. With an entirely new look to the team, expect to see only 4 returning players from last year, which includes Austin who will be starting at Middle Linebacker and Quarterback for his second season in the St. Johns Middle School Athletic Association (SJMSAA). We look forward to a great game and to build on the momentum of the Spring season to get us ready for Fall football. Stay tuned for highlights from the game. Austin Reed (#7) and the Sebastian Middle School Eagles football team prepare for the Spring football jamboree at Nease High School against the Pacetti Bay Wildcats. 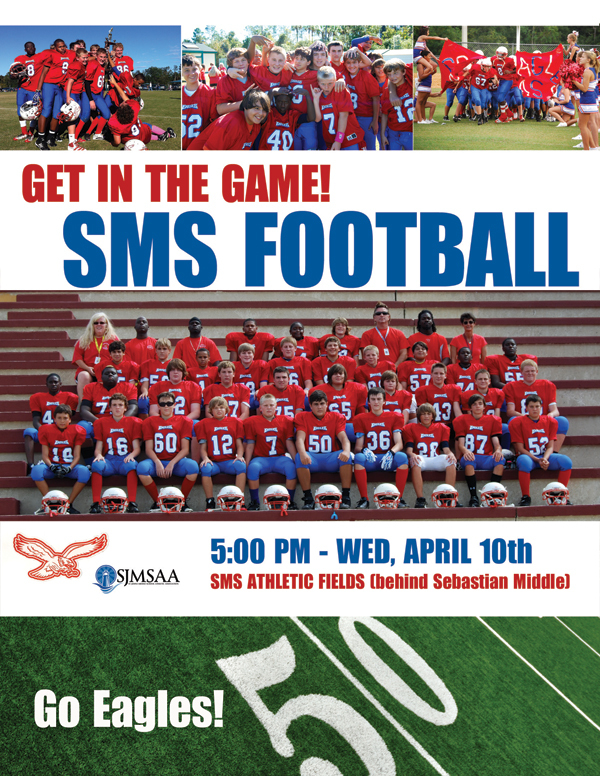 We want to let everyone who is interested in playing football for the Sebastian Middle School Eagles, that tryouts and practice for the St. Johns Middle School Athletic Association Spring football season begins next week on Wednesday, April 10th. Tryouts and practice for the Eagles football team will be held at 5:00 p.m. at the Sebastian Middle School sports fields located behind the school. Please visit the website for the SJMSAA to download the required participation forms. GO EAGLES!! !